After that hell of a cliffhanger that Megan Smith left us with in Trying Not To Love, I couldn't wait to get my hands on this book. 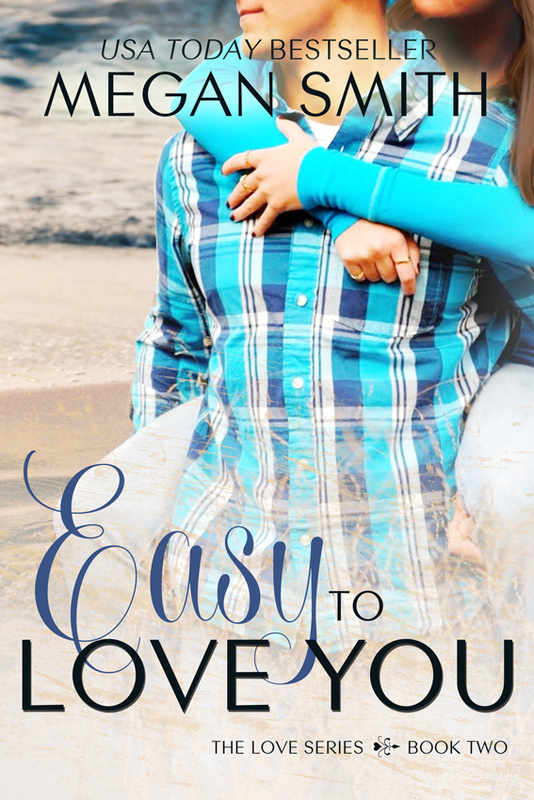 Easy to Love was an emotional story and we get to experience most of this roller coaster ride through Hunters POV. 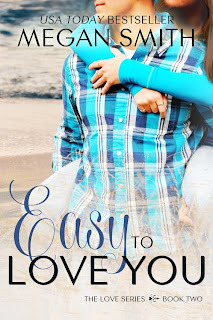 Easy To Love starts of right were Trying Not To Love You left off, with Mackenzie being in that horrific accident. Hunter has to deal with Mackenzie's, the accident and then the birth of their son. Nothing in life comes easy and Hunter and Mackenzie learn this through out their journey, but will they survivor. Many secret are being keep from Mackenzie and she is struggling with the fact that no body will tell her. I loved Mason, Hailey and the rest of this family. I laughed more then once while reading this. Chocolate milk scene was my favorite scene in this book, That's all I saying. We are left with a small cliffhanger leading us into book three. Hard To Love You ~ Mason and Hailey store. I can't wait for book three to come out I am really enjoying this story. The Twins stories are next in book 3 and 4 and I am on the edge of seat waiting on them. If you have not read TNTLY I recommend reading it before this book, you will not be disappointed. It was nearly 9 p.m. when a doctor calmly strolled out. He called for us and led us into a private room; I took a seat between my mom and Mrs. Cahill, who both reached over and grabbed my hands. Everyone else was standing behind us, except for Chloe who stayed in the waiting room with an oblivious, sleeping Alex on her lap. The doctor cleared his throat, "I’m Dr. Clearly, I’ve been working on MacKenzie since she arrived. She is alive, but has suffered a great deal." I felt lighter already. Thank God for that! Whatever lies ahead for us, we can deal with that together. Now for one more miracle and I could finally start to relax a little bit. "After we assessed all of her injuries, we hooked MacKenzie up to the ultrasound monitor to check on the baby. The on call OB-GYN made the decision to perform an emergency Cesarean section - MacKenzie was having contractions and, since she was nearly full term, it was safer to deliver the baby than it would have been to wait. She delivered at 4:38 p.m. and the baby is being monitored in the Neonatal Intensive Care Unit, but appears to be doing well." I hung my head as a sob escaped me, I couldn’t hold it back. I don’t think there was a dry eye in the room. The doctor continued, "MacKenzie appears to have protected the baby during the crash and has taken most of the injuries to her wrist and leg. She has a dislocated thumb on her left hand, which we have reset. Her right wrist is broken which will have to be in a cast. The right ankle was severely crushed and we will need to operate on that as soon as we can. When she arrived she was unconscious and we’ve kept her in a medically induced coma right now for her safety. Sometimes when the body has gone through a trauma, it can go into shock if it regains consciousness too quickly; we just want to make sure that doesn’t happen. She is getting a CT-Scan now, so depending on the results we may be able to slowly wake her up." Dr. Clearly sat back in his chair. "One of the nurses will come and get you when MacKenzie is back in her room and settled." He stood up to leave but looked at me before turning away and said, "She is extremely lucky, not many people would walk away from something like this." I reached out to shake the doctor’s hand, "Thank you for everything you’ve done." 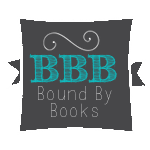 When Megan Smith is not writing she is a wife to her high school sweetheart and a mom to her son. She lives in the New Jersey. At the end of the day when she is done work and being a mom you can find her curled up with a good book or writing on her current story.